Saskatchewan has braved weeks of temperatures down to -40, but grain producers in the province don’t mind the cold temperatures. The cold and snow actually brings benefits for those who grow corn or alfalfa. The snow maintains the moisture and temperature for the seeds already planted in the soil. “It’s nice when it’s cold like this because we have that insulating factor,” said grain producer Kevin Elmy. Elmy is more worried about the spring than the temperature now. 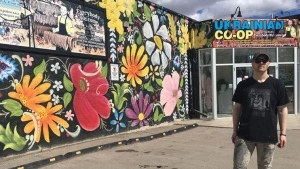 “When we get into April, when the plants start waking up and they start breaking dormancy, a cold snap, that would be a lot more damaging than having the cold right now," he said. The kind of cold that southern Saskatchewan is currently experiencing can have even more benefits later in the year. “Many of our insects that we typically deal with in the summertime may actually freeze, which is beneficial to us in that we may have reduced insect populations come springtime," said Shannon Friesen, a crops extension specialist with the Saskatchewan Ministry of Agriculture. Nothing grows in the winter and so grain producers spend the cold months identifying new markets or bringing already-grown grains to buyers. This inevitably involves a grain elevator and that’s where the cold can affect the farmers. 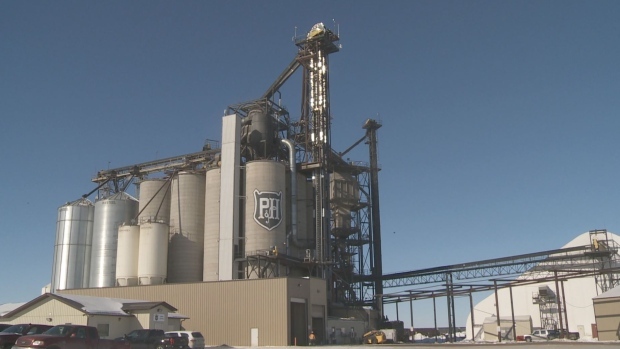 “When it’s really cold out the farmers obviously have trouble getting the vehicles running, have trouble with augers, trouble with tractors, (with the) trucks… and we have the same problem when the grain leaves here because the railroads have trouble getting the trains to run," said David Thomas, the general manager of the Parrish and Heimbecker grain elevator near Yorkton. Elmy doesn’t mind those delays, so long as he get what he needs in April, like the snow to take a long time to melt or timely rains.